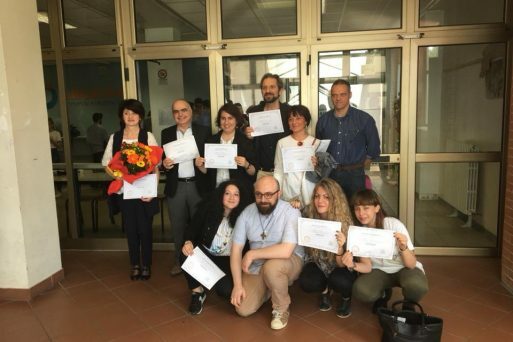 Where it all began, after 3 years, the school-work alternation project KAIZEN ON STAGE ended at the IIS Archimede Auditorium of San Giovanni in Persiceto. In the first year the boys walked the ice cream chain from raw materials to the sale of the product thanks to Carpigiani (the technical excellence of the machines for the production of artisanal ice cream), the second year they participated in the European exchange #BrandYourEUth and they worked of the development of three projects: Gelateria Solidale, Gelato Museum and Fabbrica, in the third year they elaborated the image and the marketing of the ice cream business. 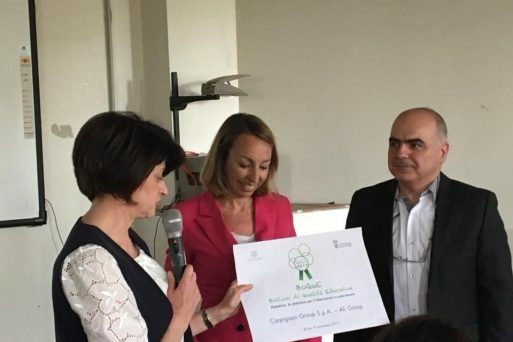 The project arrived at the 15th edition of the “Sodalitas Social Award” of the Sodalitas Foundation in the Youth and Future section and received a special mention from the 2017 national “Didactives: school-work alternation didactics” award of the MIUR and Confindustria for attention to the social and solidarity aspect. 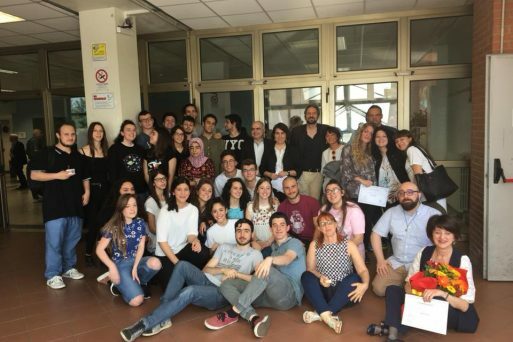 Students, parents, professors, Antonella Bonelli (University tutor), Valentina Foglia (HR Manager Carpigiani), Jamil Chehab (Carpigiani Engineer Group), Valentina Gianni and Laura Sanna (Passi Società Cooperativa), Councilor of Anzola and San Giovanni in Persiceto and others ..